Looking to fill your Trophy Booth with lot's of colorful Trophies to get the riders excited? Trophy Deals brings you the absolute best Deals on BMX Local Race trophies allowing you to make larger profits each race! We have your back on getting High quality economy trophies. All trophies can be easily stored with our state of the art packing systems. Our BMX State Championship Qualifier Gold Trophy and Plaque sets are an absolute classic! Trophies come with choices of different Rainbow columns with a touch of Artwork on top of the wide oval column. The Trophy Package includes a 24 inch 1st Place, 20 inch 2nd Place, & 16 inch 3rd Place Trophy. The Plaque Package comes with a 14 inch tall 1st Place, 12 inch 2nd Place & 8 inch 3rd Place Plaque! Our BMX State Championship Qualifier Code Red Trophy and Plaque sets are an absolute classic! Trophies come with choices of different Rainbow columns with a touch of Artwork on top of the wide oval column. The Trophy Package includes a 24 inch 1st Place, 20 inch 2nd Place, & 16 inch 3rd Place Trophy. The Plaque Package comes with a 14 inch tall 1st Place, 12 inch 2nd Place & 8 inch 3rd Place Plaque! Looking for something a little taller for your Double Point BMX Race? This set was designed for all State Championship Final Races. We give the choice of either Trophies or Tower Plaques for this race at a superbly low special rate! Its our goal to spread the savings amongst all BMXers creating a stronger community for the already fast growing sport. Click to start designing our line of Burst Plaques. The Burst Plaques got their name from their Vibrant HD Colorful print that is sure to make the kids eyes widen after winning the race! This is another design that originated from a big race in the middle of the United States, and after other's saw the pictures, they too wanted a plaque like this, so we made a whole line of them.. Many colors to choose from with the unbeatable price of $35 per set! Set yourself apart from the other tracks in the by awarding the best possible award option. Not only is this the BEST deal for 3-2-1-1 Foot Trophy Sets, but they are the most unique to Racing because our exclusive Helmet, Number Plate, and Sprocket Figures that go on top of the Trophies! Our final touch to the trophies is an artistic Column Graphic to separate your Generic Trophy to a Sport Specific Trophy Which your riders are sure to enjoy! Make yourself KNOWN in the community by awarding the best possible award option. Awards Depot truly knows how to Deck out a Trophy by adding a touch of artwork with our Column Graphics turning your plain generic trophy into a custom sport specific award that your riders and their friends will love! Our New Exclusive Helmet, Number Plate and Sprocket Riser's our included on our special as well! Our Grunge Series plaque design was first created for a Big Race in the Southern United States, and quickly became so popular by demand that we made it a stock design with multiple color bakground choices for any track around the U.S. to use. The Grunge Series has proven itself worth time and time again, with the Blue and Black design being the original design. Special Package set intended for tournaments with around 50 divisions. Package A contains 4x8" Martial Arts Grand Champion Awards, a 2 inch gold 1st place martial arts medallion, a silver 2nd place martial arts medallion, and a bronze 3rd place martial arts medallion. 50 Finalist medals are also avialable with this special package. Special Package set intended for tournaments with around 50 divisions. Package B contains 6x12" Martial Arts Grand Champion Awards, a 12 inch tall 1st place martial arts plaque, 8 inch tall 2nd place, and 6 inch tall 3rd place martial arts plaque. 50 finalist medals are also available with this special package. Special Package set intended for tournaments with around 50 divisions. Package C contains a 21" tall Martial Arts Grand Champion Trophy, a 16 inch tall 1st place martial arts trophy, 14 inch tall 2nd place martial arts trophy, and 12 inch tall 3rd place martial arts trophy. 50 finalist medals are also available with this special package. Special Package set intended for tournaments with around 50 divisions. Package D contains a 20" tall Martial Arts Grand Champion wide column Trophy, a 16 inch tall 1st place martial arts trophy, 14 inch tall 2nd place wide trophy, and 12 inch tall 3rd place martial arts trophy. 50 Finalist medals are also available with this special offer. Special Package deal for martial arts trophies, and tournament awards. This special martial arts trophy deal is intended for tournaments with around 100 divisions at their tournament. Package A contains 4x8" Martial Arts Grand Champion plaques, a 2 inch gold 1st place martial arts medallion, a 2inch silver 2nd place martial arts medallion, and a 2 inch bronze 3rd place martial arts medallion. 100 finalist medals are also included in this special package deal. Special Package deal for martial arts trophies, and tournament awards. This special martial arts trophy deal is intended for tournaments with around 100 divisions at their tournament. Package B contains 8x16" Martial Arts Grand Champion plaques, a 6x12 inch 1st place martial arts plaque, a 4x8 inch 2nd place martial arts plaque, and a 3x7 inch 3rd place martial arts plaque. 100 finalist medals are also included in this special package deal. Special Package deal for martial arts trophies, and tournament awards. This special martial arts trophy deal is intended for tournaments with around 100 divisions at their tournament. Package C contains 20" inch tall Martial Arts Grand Champion trophies, a 20 inch 1st place martial arts trophy, a 16 inch 2nd place martial arts trophy, and a 12 inch 3rd place martial arts trophy. 100 finalist medals are also included in this special package deal. Special Package deal for martial arts trophies, and tournament awards. This special martial arts trophy deal is intended for tournaments with around 100 divisions at their tournament. Package D contains 30" inch tall Martial Arts Grand Champion 2 tier trophies, a 26 inch tall 1st place martial arts 2 tier trophy, a 20 inch tall 2nd place martial arts wide column trophy, and a 16 inch tall 3rd place martial arts single column trophy. 100 finalist medals are also included in this special package deal. Special Package deal for martial arts trophies, and tournament awards. This special martial arts trophy deal is intended for tournaments with around 150 divisions at their tournament. Package A contains 24" inch tall Martial Arts Grand Champion plaques, 2.5 inch custom medallions for 1st place-3rd place. These 2.5 inch custom martial arts medals come in Gold, Silver, and Bronze. Free neck ribbon included with these custom martial arts medallions. 125 finalist medals are also included in this special package deal. Special Package deal for martial arts plaques, and tournament awards. This special martial arts trophy deal is intended for tournaments with around 150 divisions at their tournament. Package B contains 2 foot tall Martial Arts Grand Champion plaques, a 20 inch martial arts plaque for 1st place, a 16 inch martial arts plaque for 2nd place, and a 12 inch martial arts plaque for 3rd place. 125 finalist medals are also included in this special package deal. Special Package deal for martial arts plaques, and tournament awards. This special martial arts trophy deal is intended for tournaments with around 150 divisions at their tournament. Package C contains 2 foot tall Martial Arts plaques for Grand Champion, a 34 inch tall, 2 post martial arts trophy for 1st place, a 26 inch tall 2 column martial arts trophy for 2nd place, and a 20 inch tall wide column martial arts trophy for 3rd place. 125 star series, finalist medals are also included in this special package deal. These trophy sets come with Column graphics, making your trophies standout from all the other generic trophies that your competitors may have won in the past. This will make you, and your tournaments stand out, representing your tournament better then any other trophies on teh market. The Flame Plaque set is perfect for Tournament Directors who want to shake it up! The unique spin on our classic plaque will make your winners smile. This plaque was invented by our experts to encourage more participation in events by creating a better awards program. Many design options are available to keep your Tournaments fresh all season! The Flame Design Series is perfect for Tournament Directors who want to shake it up! The unique spin on our classic plaque will make your winners smile. This plaque was invented by our experts to encourage more participation in events by creating a better awards program. 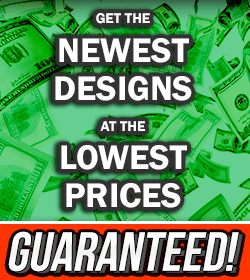 Many design options are available to keep your Tournaments fresh all season!